Soyuz TMA-19M and its three crew members, bound for a rendezvous with the International Space Station for a seven-month stay in space, got a smooth ride atop the Soyuz FG rocket – orbital data gathered after the crew’s arrival in orbit confirms. The initial orbital parameters for the spacecraft, released by the Russian Space Agency, are within the tight limits needed by the Soyuz to proceed with its fast-track rendezvous to deliver the crew to their destination in space in just over six hours. 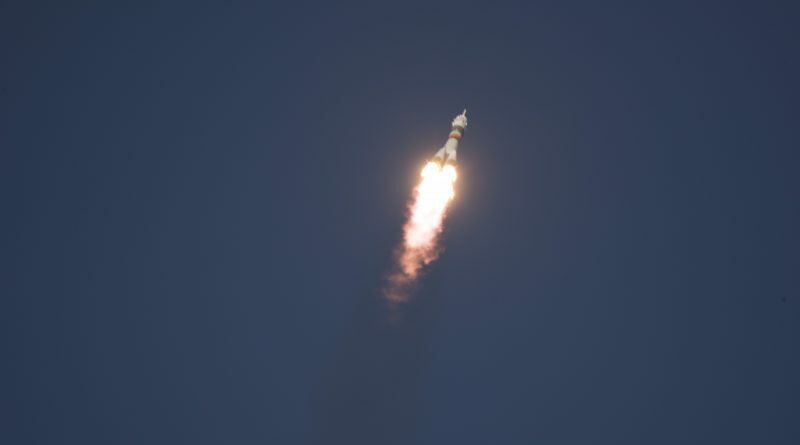 Yuri Malenchenko, a sixth time space flier, and his Flight Engineers Tim Kopra and Tim Peake boarded their Soyuz on Tuesday, taking their seats atop 274 metric tons of propellant to get ready for a thundering blastoff. 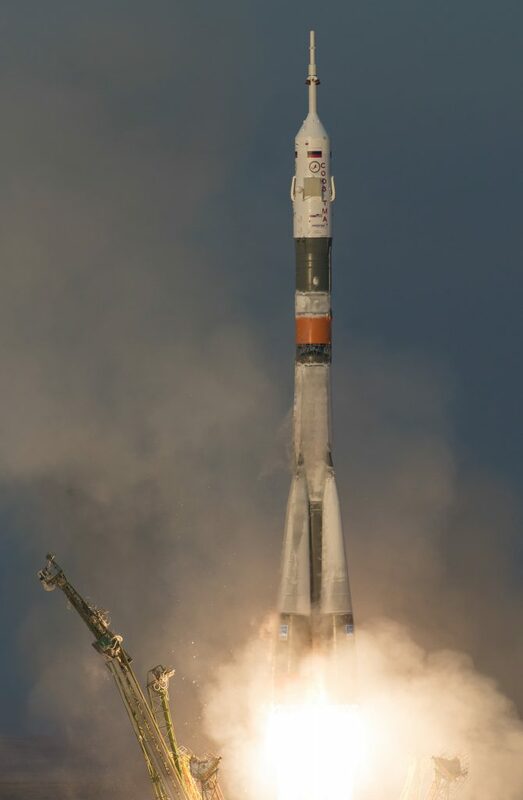 The 50-meter tall Soyuz FG rocket soared off at 11:03:09 UTC from Site 1/5 at the Baikonur Cosmodrome, ascending under the power of its four boosters and core stage, all equipped with multi-chamber engines, generating a collective liftoff thrust of 422 metric-ton-force. A short vertical climb set the vehicle up for a north-easterly departure, starting a pursuit of the Space Station that had overflown the launch site just minutes prior to liftoff. The four boosters fired for one minute and 58 seconds, helping accelerate the Soyuz to a speed of 1.5 Kilometers per second. With the boosters tumbling back to Earth after a clean separation, the Soyuz headed on towards orbit, shedding its launch shroud two and a half minutes after launch and firing its core stage until T+4 minutes and 45 seconds. Separation was accomplished in hot-staging mode and the RD-0110-powered third stage pulled away from the spent core for a burn of 3 minutes and 58 seconds, boosting the stack into orbit. Soyuz TMA-19M was sent on its way eight minutes and 48 seconds after launch, embarking on a four-orbit rendezvous with the orbiting outpost. Orbital data from the Joint Space Operations Center will be published in the coming hours. It should be noted that Russian ballistics specialists use a different orbital calculation method than JSpOC, explaining the difference between published data sets. Having arrived in a relatively precise orbit, Soyuz TMA-19M – flying under the call sign ‘Agat’ – can proceed with its four orbit rendezvous. To accomplish a launch-to-docking in just over six hours, the spacecraft has to perform a series of maneuvers. Two SKD main engine burns were programmed into the Soyuz prior to launch and will be conduced over the first orbit, regardless of the actual insertion orbit parameters. Ballistics experts use the measured insertion orbit parameters listed above and the parameters for the first two burns to calculate the post DV-2 orbit. With that, the flight profile for the remaining maneuvers can be calculated with another pair of burns coming up on the second orbit of the mission to continue raising the orbit of the Soyuz while also correcting for insertion inaccuracies by the Soyuz FG rocket. With these four DV burns complete, the Soyuz will enter its Automated Rendezvous Sequence that kicks off with a final ground-targeted burn, delivering the Soyuz to within 200 Kilometers to the Space Station where the KURS system can acquire signals from the Space Station and generate navigation data used for the targeting of subsequent burns. Approaching the vicinity of ISS, Soyuz will reduce a targeting offset that is deliberately kept in case of any problems during the rendezvous. 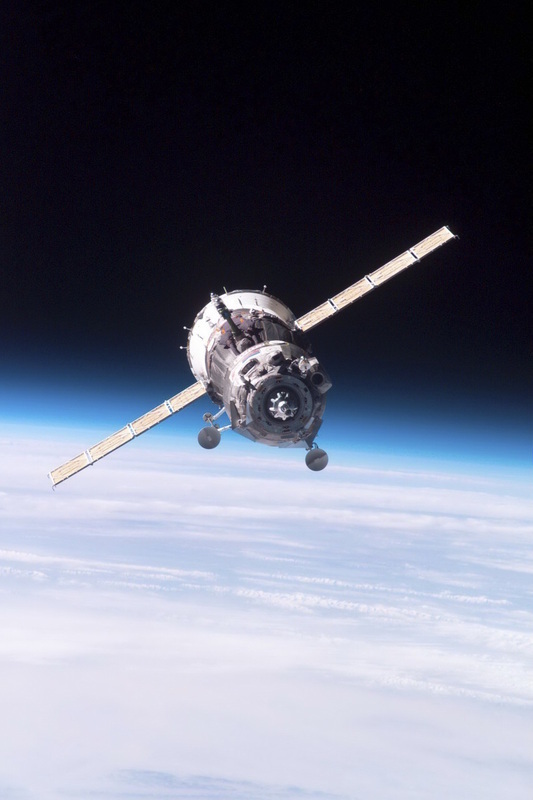 A series of propulsive maneuvers will deliver the Soyuz to within 400 meters when it will automatically conduct a flyaround of the Space Station to get lined up with the Rassvet module at a distance of 200 meters for a short period of stationkeeping. Final approach occurs at a slow relative speed and Soyuz will keep its docking target centered to make contact with its docking port to allow capture latches to engage and mark the craft’s arrival at ISS, currently set for 17:24 UTC. After docking, Soyuz will retract its docking probe and close its hooks to pull the docking interfaces together to form a tight seal that is verified as part of a leak check before hatches will be opened and the three arriving crew members can be welcomed by Sergei Volkov along with Scott Kelly and Mikhail Kornienko, the one-year crew members, greeting their third visiting crew. Malenchenko, Peake and Kopra will stay aboard ISS for seven months.